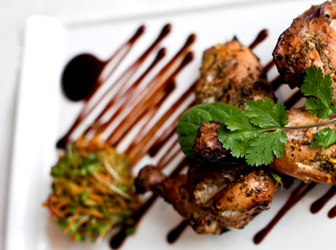 Khan´s Restaurant has been credited locally as "one of the most authentic Indian restaurant´s in the city". 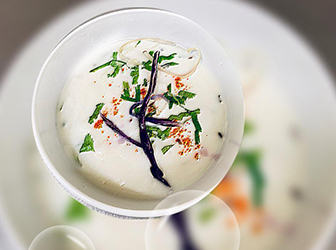 Experience exceptional award winning low fat & colour free cuisine in an elegant yet relaxed atmosphere. Our "pure Indian flavours" and attentive service continue to attract theatre goers, business professionals, romantic and social diners. Khan´s Restaurant is not only an Indian restaurant but offers also a takeaway & delivery service to the surrounding areas. 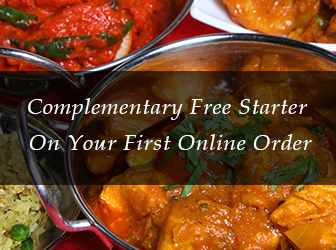 We welcome you to order online for delivery or collection and hope you enjoy our food. "Please mention to avail the offer while booking over the phone"
Fantastic Indian food - absolutely delicious (you would never know it is low fat). Vast menu available for delivery and in the restaurant and you can order off menu should you wish. Staff are friendly and attentive. Great value for money too. Honestly some of the best curry I've had in my life! Will always go here for an Indian! Staff are friendly and helpful! If you've never been here you're missing out! This seems to be the only curry restaurant that gets busy in Epsom. And I see why! The food is delicious and great value for money. Will definitely be returning! The only downside is that the restaurant is very small so its quite cramped but apart from that highly recommended! Can't understand why this place hasn't featured in the latest top places to eat in Epsom list. It's an authentic, up-market Indian with a varied menu, which also does an efficient takeaway service. They claim to produce low fat and colour free food, which sounded boring but in many ways improves the flavour and appearance of the food, and nothing comes swimming in more sauce than meat, etc, plus you can taste all the ingredients - spices, coconut, nuts, etc. Making my mouth water writing this - and, good excuse, it's apparently National Curry Week right now! I have not visited this restaurant for a while and was pleased that it was as good as ever lovely fresh food, nicely presented. Modern decorations and well lit. Orange segments and port were served as a complementary treat. Our family use their take away which is delivered quickly and hot. As chicken tikka masala varies from house to house Khans's offers their own recepie. 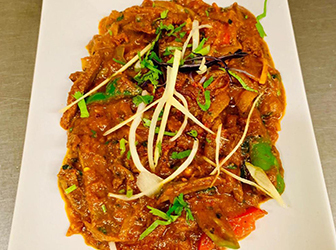 Pieces of chicken cooked in a blend of spices and coconut cream with chillies. Breast of chicken marinated in spices, spinach, mint and coriander. King prawns cooked with oriental herbs, spices, fresh ginger, tomatoes and peppers, all tossed dry in an iron karachi. A combination of diced chicken or lamb with roasted ground peppercorns.